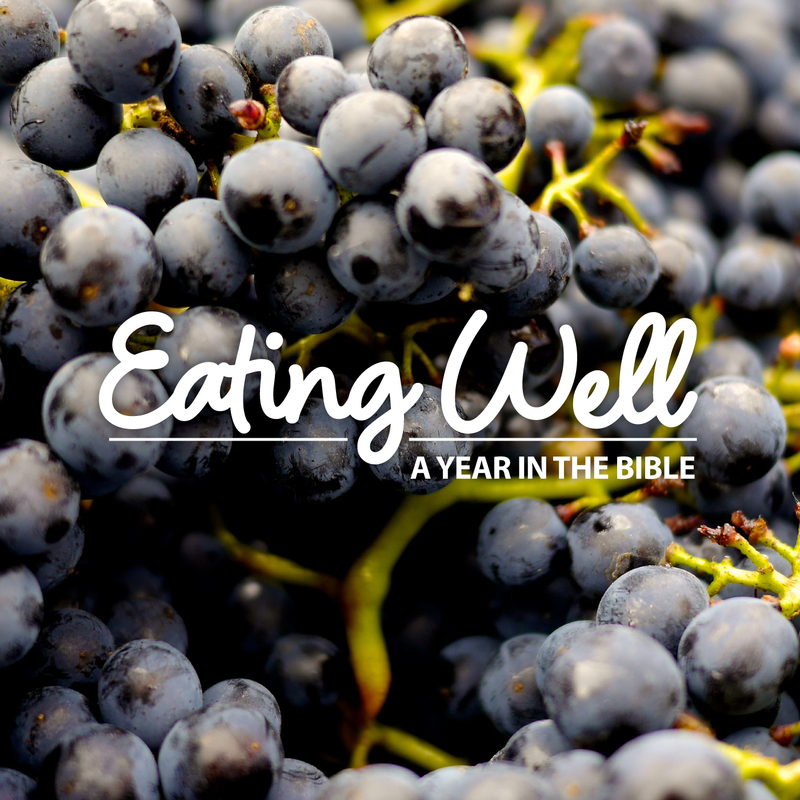 Our year of Eating Well: A Year in the Bible is coming to a close, and many of you have asked what’s next? While Evanston Vineyard is beginning a new year-long theme with a very different approach, we know that this past year of weekly devotionals and reading plans has been so valuable for staying connected to God’s word every day, and so we want to point you to two resources. Biblegateway.com has a virtual treasure trove of online reading plans, including many that can be emailed to you daily (scroll to the bottom for email options). You can begin an Old Testament plan to complement what we’ve done over the last year, or find plans that move chronologically, or from Genesis to Revelation, or even one plan that works through the whole Bible in 90 days. Here is a plan one of our members found that allows you to savor the word more slowly by going through the Bible in two years. And you can always find the Eating Well reading plan at the link later in this post. Many people found our daily devotionals helpful as they worked through Eating Well. Crosswalk has a great roundup of devotionals that can be delivered each day here and a complete list of options here. Another option is this daily Bible study from Genesis to 2 Chronicles. We’re still auditing, but it seems promising. 1. What is revealed about God in this story? 2. What character do you relate to the most in the story? 3. In what ways do you relate to each of the different characters found in the story, whether protagonists or antagonists? 4. What might God be speaking to you through this story? What do you think God might be trying to affirm in you about who you are as His child through this story? 5. What areas of life may God be calling you to move forward in? 6. What sin areas may there be in your life that God is using this story to cause you to confess? 7. How do you think this story might cause you to more fully experience the healing, freedom and life Jesus came to offer us? And, of course, we’ll keep the previous devotional guides active at the links below. Thanks for being a part of this Year in the Bible! If the Bible is food for our soul, we want to become people who are eating well. Eating Well is a year-long initiative to become a church that is being transformed by scripture. We’ll have Sunday messages and lots of extra content and resources throughout the year. Throughout the next year, we’re inviting our whole church to engage with the Bible on a regular basis. We’ve created a reading plan that will take you through the Gospel of Luke, the book of Acts, and all of the letters by this time next year. That’s roughly 4 chapters a week, which we’ve broken out over 5 days each week. You are of course welcome to read those four chapters at any pace you’d like — you can do it over several days, or all in one sitting. If you get a little behind it’s easy to catch up. Most of us can read four chapters in less than an hour. Each week, after we’ve all read the four chapters, the sermon following will be something from one of those four chapters. And in the sermons, we’re going to take some time to show you how we got what we did out of that passage so that you can learn how to do it. You can start any week — just jump in. There’s no pressure to start from the beginning or to catch up before reading this week’s Scriptures. We’ve also developed a study guide to help you get the most out of your reading. You can download it from our website. For each of the five days, we’ve identified something to focus on, something to reflect on, something to respond to, and something to pray. You can also sign up for our daily devotional email, and we’ll deliver that days reading and questions right to your inbox each morning.